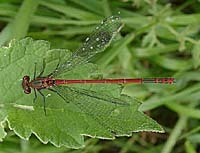 These pages are intended to provide information about the status of Odonata in the County of Cheshire and also the Wirral. The data presented is based upon records submitted to the Cheshire Odonata recording scheme which was established in its current format by Richard Gabb in 1985. 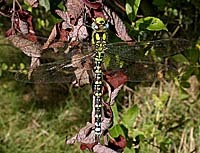 The scheme is based on recording sightings of Odonata with a measure of their breeding status based on observations of breeding behaviour and nymphs or exuviae. Recordings are mapped on a two kilometre square or Tetrad basis. Chris Meredith and John Roberts who can be contacted at cheshiredragonflies@outlook.com. 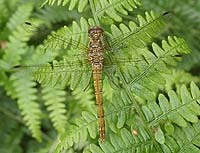 They also have a blog about recent odonata sightings and activity in Cheshire. Cheshire Dragonfiles blog. 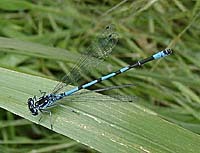 Details of individual species of Cheshire Odonata. published by National Museums & Galleries on Merseyside, 1992.